Comments: Evergreen conifer native to Italy. 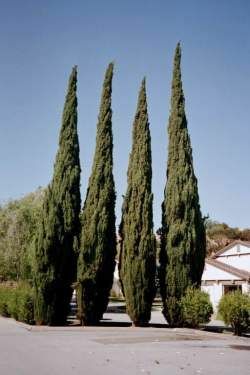 A very compact cylindrical tree with growth to 60' or more and 3' to 8' spread. Commonly used as an accent in gardens or yards but when planted close together forms a tall hedge. Needles are small and surround the stems. Cones are spherical and about 1" diameter.